If you hate to floss, try an electric flosser! The Phillips Sonicare AirFloss Pro is clinically proven to be as effective as floss for gum health. Up to 95% of users tested experienced reduced gum bleeding in just 4 weeks. 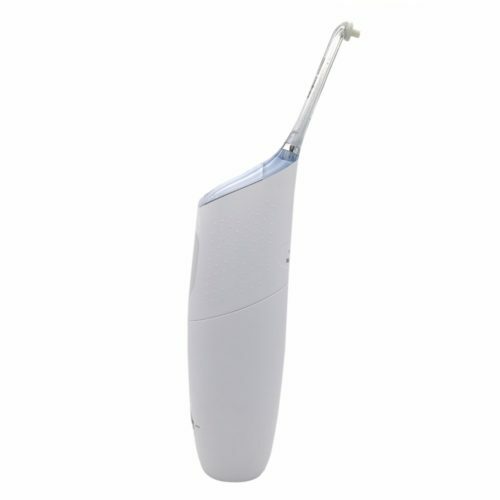 This electric flosser has been shown to remove up to 99.9% of plaque in treated areas. The AirFloss Pro cleans your entire mouth in about 60 seconds. It produces a burst of micro-droplets of air and liquid to remove plaque from between the teeth. You are able to program the number of bursts from one to three bursts for each area treated. I use this personally and have found it to be a great adjunct to my oral hygiene care. Previous Previous post: Embarrassed By Ugly Lip Sores? Next Next post: All Crowns Are Not Created Equal!